HM Land Registry is part of the UK’s critical national infrastructure and it underpins and underwrites the ownership of land and property worth several trillion pounds across England and Wales. Our core function is to update and protect the integrity of the Land Register. For more than 150 years, Land Registry has created and maintained it through paper-based systems and processes. In the 1980s, we started to scan our existing forms and records. Whilst this allowed us to take the first steps toward automation, it has replicated and supported existing processes, rather than seeking to transform our services. Our current systems and processes work well but they do not meet the needs and expectations of our users. 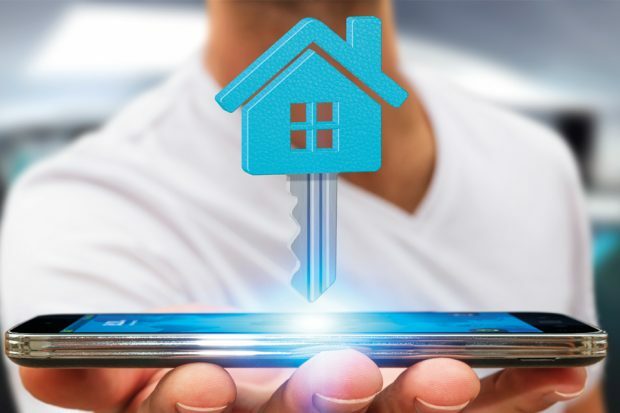 In the digital world, users need quicker and simpler access to our data, for example to help speed up the house buying process. We need to rethink how we work as an organisation and we’re taking bold steps to modernise. We want to be open about our approach, to celebrate our successes and to share the lessons we learn. So this will be the first in a number of posts where our digital, data and technology teams in HM Land Registry will talk more about our work. Our aim is to become a modern, open, data centric, digitally-enabled organisation. This means that we need to lay foundations that will enable us to build our future products and services. This new ‘Digital Register’ will let our users quickly and accurately identify what is owned, by whom, and with what rights and restrictions. The register will also provide opportunities for Land Registry and the wider land and property industry to innovate and develop new services and products that truly improve the property market. Over the coming months and years, we will deliver a new suite of simpler, faster, more consistent digital services designed around the user. As a public sector body that everyone in the property market transacts with, we are in a unique position to propose and drive the adoption of standards for land and property data. Our research and development project, Digital Street, has been working with representatives from across the property and technology sector to understand how data standards might work. We're also exploring a vision of how digital may improve the future of buying and selling of land and property as part of the project. To enable us to develop and deploy new services quickly and easily, we’re building a modern, loosely coupled, adaptable infrastructure as a foundation. Our new services will be ‘stitched together’ from component parts and driven by data that is accessed via APIs. The Government Transformation Strategy, launched by GDS in 2017, sets out the need to design and build better tools and processes to make it easier for public servants to work effectively. At HM Land Registry we receive a huge number of applications and enquiries each year - more than 33.7 million in 2017 to 2018. Our caseworkers use lots of overlapping systems which, whilst they get the job done, could be simplified. We have several teams that are building automated application processing systems and casework tools that help our caseworkers receive and process them more efficiently, freeing their time to concentrate on more complex cases. We are committed to developing the skills of our people across our entire Digital, Data and Technology profession so are constantly improving how we work across our programmes. 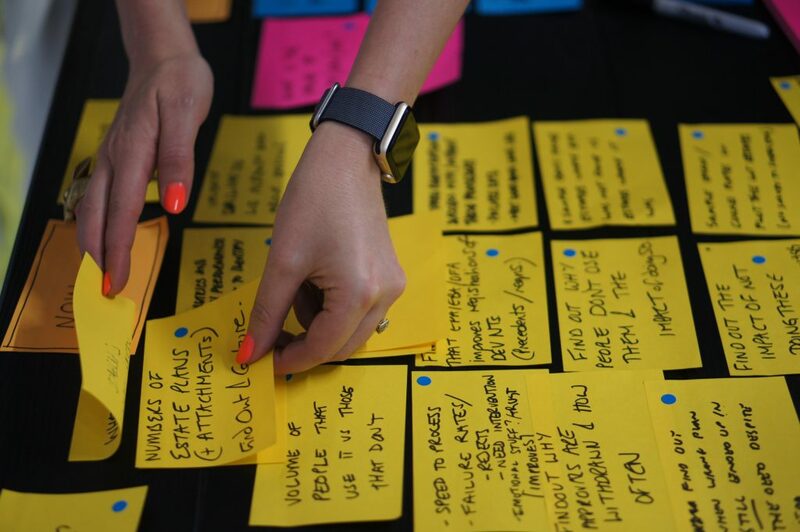 More than 200 expert people - including tech leads, developers, delivery managers, service and content designers and user researchers - are using agile and lean approaches to deliver better services for our internal and external users. Many other people are working on other change and business-as-usual activities within the organisation. My job has been to create an environment where our teams are able to experiment and try new things, setting them outcomes to achieve rather than items to be delivered. We want our people to feel empowered and supported. We are committed to making HM Land Registry the world’s leading land registry for speed, simplicity and an open approach to data. There are challenges ahead, but by putting our users first, building the necessary foundations, ensuring the security and integrity of our data, working with others, adopting an agile approach and by supporting our teams, we can really reap the benefits of the digital revolution for our users. We'll be posting more in the coming months to share our learnings. In the meantime, please subscribe to the HM Land Registry blog.